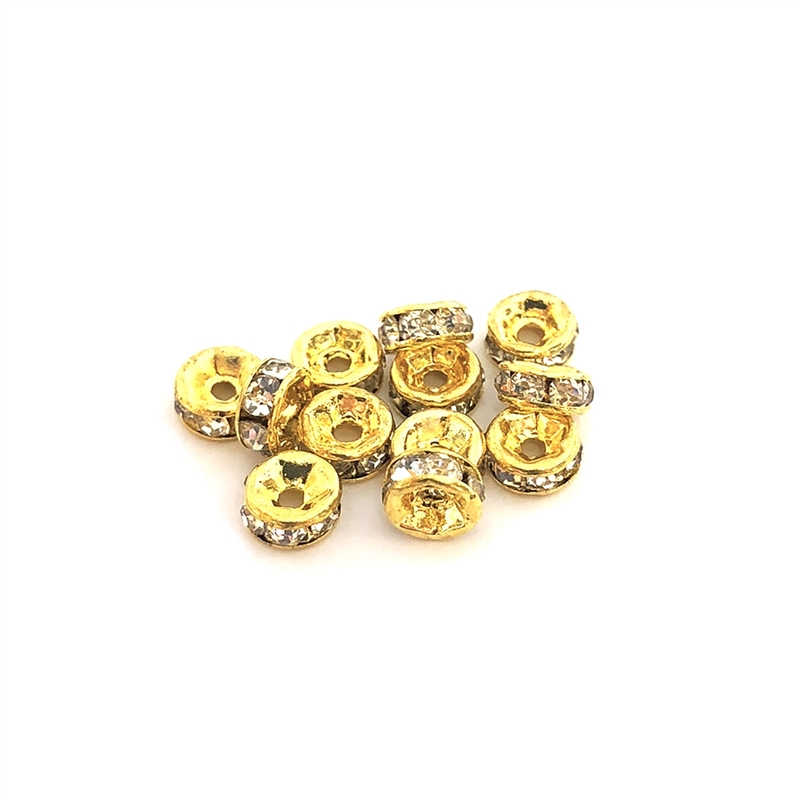 Rhinestone rondelle, crystal gold, rondelle beads, bead supplies, gold, US made, nickel free. Measures 5mm. A perfect crystal accent to a pair of ear rings, necklace or bracelet. Sold in packs of 12 pieces.